As a woman fond of travelling, I thrive on leaving London. Then again, I also thoroughly enjoy coming home. If you like living on the cutting edge then this city is a bloody goldmine. I’m a born-and-bred local and an active Yelper (a double-edged sword in the US but still relatively well-received here in the UK). Inspired by a thread on the London Yelp boards, I’m making a mini-series on London things. I won’t pretend I polled anyone. I’m just an opinionated, curious Londoner with a low boredom threshold and too much time on her hands. Let’s start a positive note with the places I would recommend to first-time visitors. Either sadly overlooked, or justifiably popular, they are accessible, tourist-friendly, and give a great overview of our city. Overrated options and quirky alternatives will follow in later posts . . .
Our river is the only thoroughfare guaranteed free of traffic, and unlikely to encounter a strike (one can only hope). But more than that: the views are brilliant. Even now, I get a heart-in-mouth moment when I cross a bridge at night and see London lit up in all her glory. So why not drag out that awe and take a boat down-river? You’ll see how the city changes from west to east, impending skyscrapers, Big Ben looming overhead, Tower Bridge, the Eye (best viewed externally), the Globe, Canary Wharf, and many nooks and crannies (unexpected parks, riverside pubs, abandoned warehouses, subterranean river mouths) along the way. If you’re new in town, don’t waste your precious time in the bowels of the earth on a smelly Tube. Head to the smelly river instead. (NB Now less smelly than it used to be). There are two practical options. 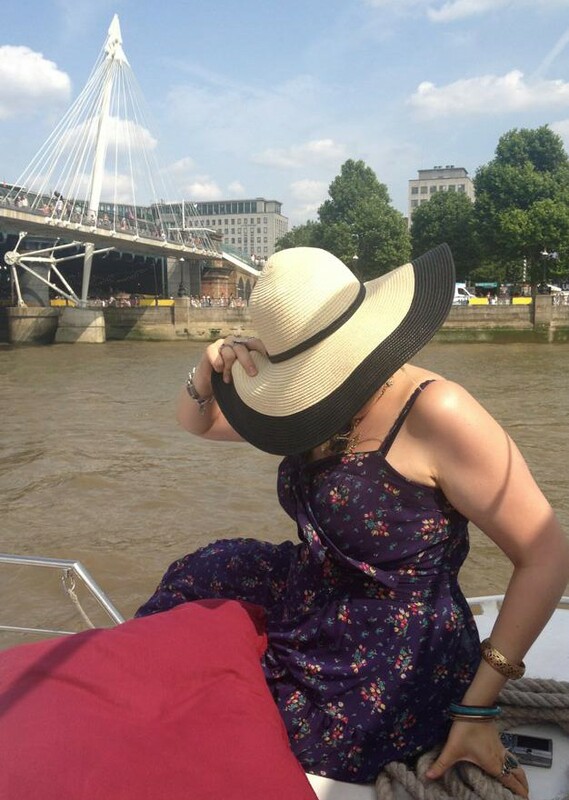 The cheaper, faster Thames Clipper is effectively a commute route – albeit a remarkably comfortable one. You can pay with cash, card or Oyster (NB prices go up on 16th Feb; full-price adult singles cost £4.20 to £7.15, and are cheaper with an Oyster, student discount or Freedom pass). 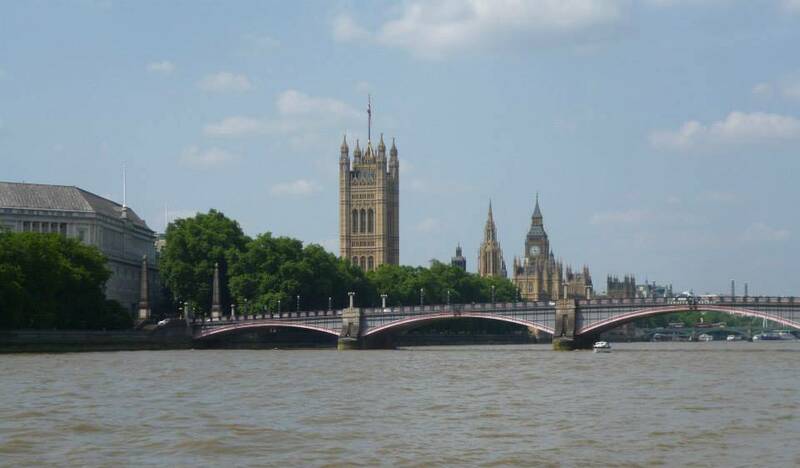 The slightly pricier and slower City Cruises (adult singles from £8.78 to £11.70, with family tickets and 24/48 hour passes available) take a more leisurely route and are geared towards tourists, with a commentary, more relaxed boarding, and friendlier staff, but it doesn’t go further west than Westminster (whereas Thames Clippers head on to Putney). All boats have snack bars and toilets, most are wheelchair-accessible, and you can sit inside or out. Whichever option you take, I suggest going from west to east, then hopping off at Greenwich so that you can . . .
At some point every tourist started flocking, lemming-like, to the London Eye. Nobody living here understands why. 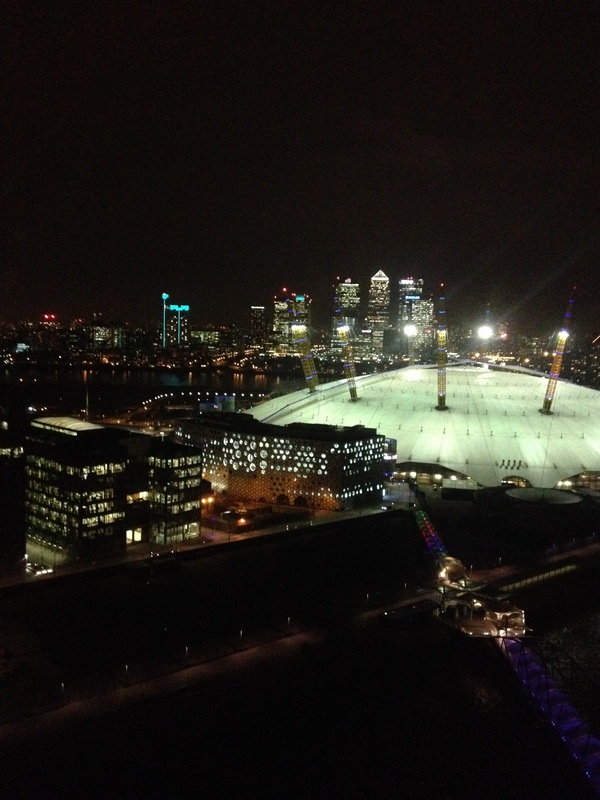 If you (understandably) wish to view London from on high then head instead to the Emirates Air Line (adults £4.50 single, cheaper with Oyster). Constructed for the Olympics, this slightly bonkers cross-river cable car is a cheaper alternative, from a fantastic vantage point which takes in the O2 (or Millennium Dome for those of us stuck in the noughties). The city is enormous, flat, and mostly low-rise. As such, any high-ish point makes for a great view. The Air Line has many benefits (it’s affordable, private, and due to its relatively unexciting location, quite unpopular) but perhaps the biggest one is that unlike any of the city’s towers or even the Eye (where your lateral movement is still quite limited), the view from the cable car is constantly changing. Presuming you’ve arrived by water, you’ll get on at the southern terminus. Admittedly there is little in the way of practical entertainment on the north side, but it’s got an industrial charm, as yet undiscovered by hipsters in search of warehouses for their coffee shops, and a walk along the docks is surprisingly peaceful. Whilst still technically in use, these days gigantic boats are quite rare; you’re more likely to catch rowing crews or dragon boaters powering away against the backdrop of City Airport. If you’re not a plane spotter and men in Lycra aren’t your thing (to each their own) then just buy a return ticket and head back to the south bank. It’s still cheaper then the Eye and not only will you walk straight on, you’ll most likely have a pod all to yourself. Time it right and you may even catch the sunset. The markets in London are increasingly homogenised and frequented by upmarket artisan cottage-industry gourmet dirty-burger-makers. Nonetheless, I love them, and in particular Portobello Road. I don’t think there are any other markets which have a Disney song written about them (if there are, for god’s sake tell me). It does get visited by Londoners, although it’s increasingly touristy, but the real gems are to be found off down the side roads. 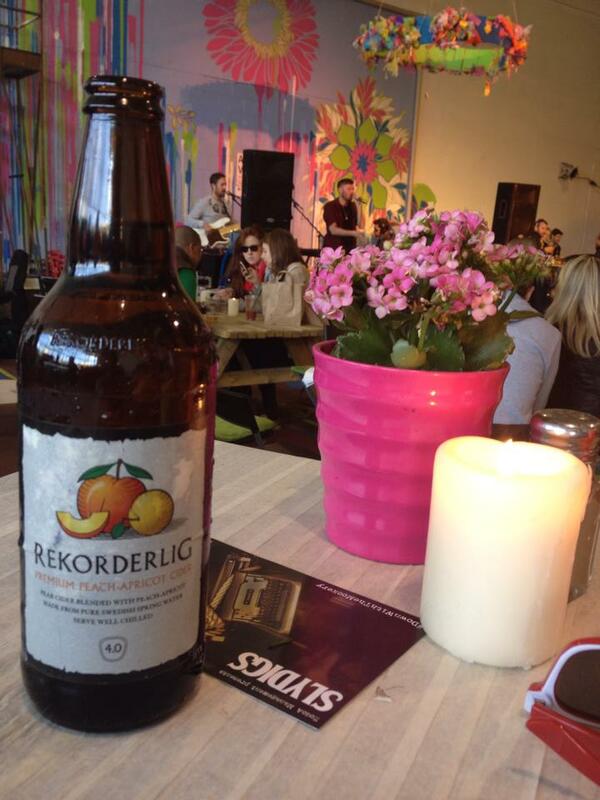 It’s attractive, easy to reach and you’ll probably come away with some quirky finds, so I suggest a visit to Portobello Road to everyone, locals and visitors alike, but I particularly recommend stopping off for a well-deserved break at Acklam Village Market. This is an enclave just off the main street; directly underneath the Westway (the overhead road which crosses just beyond the junction with Lancaster Road). And it is literally underneath: they’ve created a makeshift room from the gigantic struts which both support the road and act as walls. The windows are wire mesh. And “inside” is a stage and bar and plenty of seating, which every weekend houses free live performances from all manner of musicians. I’ve stumbled across live hip-hop, folk music, percussionists, and electronica. The bar serves a surprising range of drinks, including bottles of craft beer stored in giant plastic buckets. The mini-market itself is immediately outside and boasts a variety of street food traders serving an incredible variety of culinary delights which I suggest to anyone who is still stuck in the dark ages and thinks that Brits don’t know good eating. The London foodie scene has exploded over the last five years and street food markets are the ideal way to sample this. 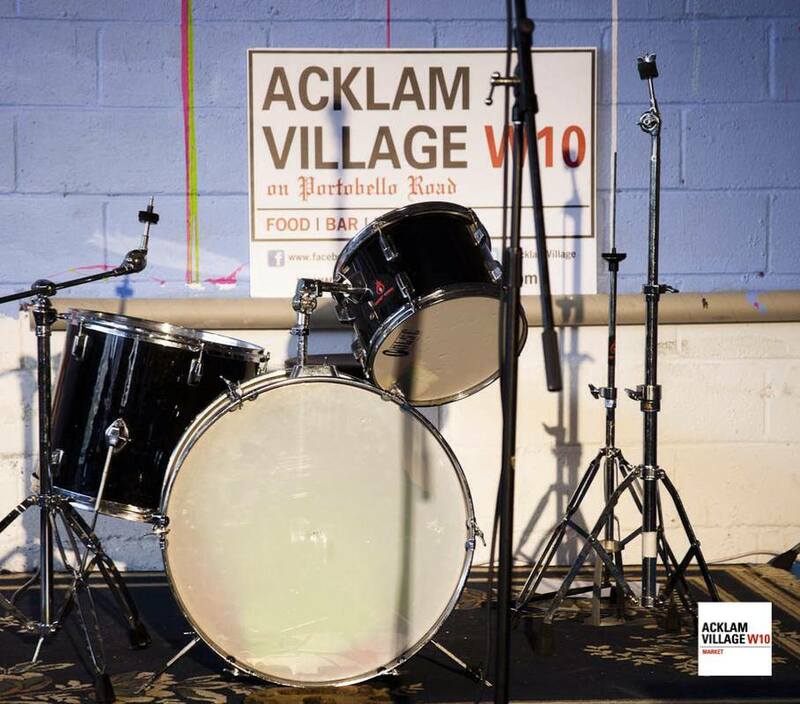 Acklam represents London’s true melting-pot style, both in food and music: international flavours, unexpected delights, global influences and tons of history, surrounded by eclectic decor and make-do-and-mend attitudes. When it comes to cross-cultural living, there isn’t anywhere quite like London in the world, and Acklam is a tiny concentrated glimpse of this. The embarrassing part of this is that if you’re from a former British colony (or basically any other country in the world), you’ll probably find an antiquity or two that our ancestors pinched from yours. Sorry about that. We could focus on the age-old argument that at least they’ve been well-looked-after. Not saying that you couldn’t have done that yourselves, but . . . um. 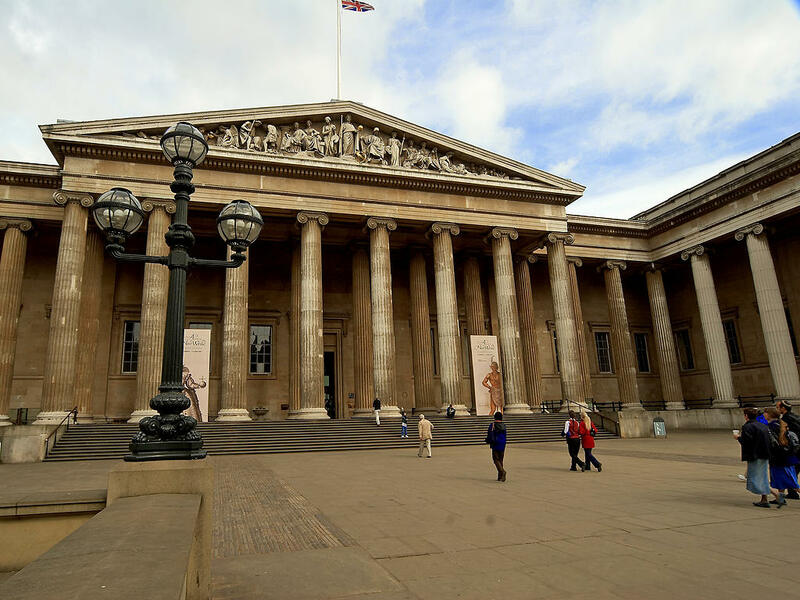 Look, let’s just dispense with the politics and focus on the present-day British Museum which is an excellently-curated collection of some phenomenal examples from just about every era throughout history. Museums in London really are second to none, and they’re all free! (But please, be a good human being and give a donation if you enjoy yourself). The British Museum sits atop them all simply because it’s so enormous, well-maintained, all-encompassing, and fascinating. There are so many amazing and more specialised museums in London, but for a general overview of Britain – or, to be fair, the entire world – then this is the holy grail. It’s worth researching the temporary exhibitions too (around £10-£20 for full-price adult tickets). London is enormous. There’s no getting away from it. Your guidebook barely scrapes the surface. So unless you explore a different area each weekend whilst cross-checking every fact on Wikipedia, the only way to realistically learn about it is to take a tour, and in my opinion doing this via open-top bus is the most effective and enjoyable. The guides are generally fun and interesting; but since it’s a hop-on, hop-off tour, if you get a dud one, you can just escape and wait for the next bus! The routes are varied and all interesting. Even as a local, my experience with The Original London Sightseeing Tour (adults £29; cheaper online and at certain times of year) left me educated and astonished. By travelling above ground it also helps to connect many areas of the city to one another, which is impossible to do on the tube. Of course if you’re more of a DIY tourist and only want to see, but not listen, then you can buy a day travelcard (available at any tube station) and jump on random buses all over the city, whichever route takes your fancy. If you’re after the major sites then the number 11 is particularly good. For smaller-scale, more intimate tours, London Walks are the only option. They’re cheap (less than a tenner) and don’t take bookings, so you simply turn up on the day at the appointed hour and join in, which is brilliant when you’re on holiday and don’t want to plan to within an inch of your life. They run all year round, come rain or shine, are suitable for kids and adults, and whichever route you take, you’ll be entertained and educated. Jack the Ripper is a popular one. I recommend Ghosts & Gaslights: creepy without causing nightmares, and touching on both myths and legends and actual historical facts. But you’d do best to take a look at their list of walks and see what stands out. If you want to tiptoe through London’s nooks and crannies and delve into its murky past, a walking tour is unmissable. Next post:Bells & Whistles: Now available on Bloglovin’!